Flourish Company is dedicated to getting Craft Hut owners the replacement parts and service they need to keep their show on the road. view replacement parts. 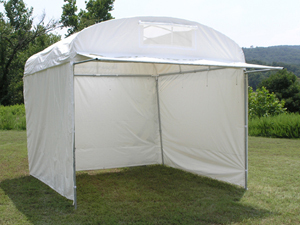 New Craft Hut tops have been modernized with essential features like: vents, skylight, and awning zippers. 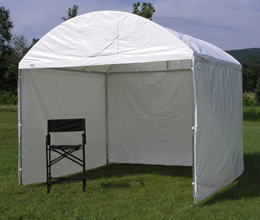 The TrimLine has many features that make it superior in function and reliability to the Craft Hut. 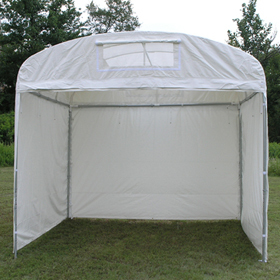 Also, TrimLine Canopies are offered at a lower price-point due to this Superior Design. 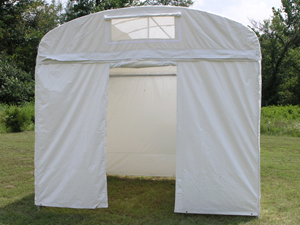 "As a Craft Hut Canopy owner for many years, I was reluctant to convert to the TrimLine. After buying a 10 x 20 TrimLine and setting it up, I clearly see the improvements that Flourish has made! Kudos to Flourish Company for making setups easier while providing excellent products with unsurpassed customer service."